I LOVE getting dressed up. Every time a big event rolls around I always end up knee deep in parcels full of potential outfits. 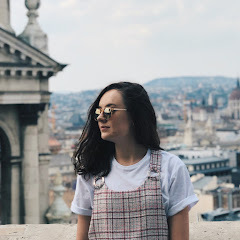 At Christmas, they're full of glittery dresses, jackets, and trousers, and so for today's post, I thought I'd collate together a load of pieces that have caught my eye this season. 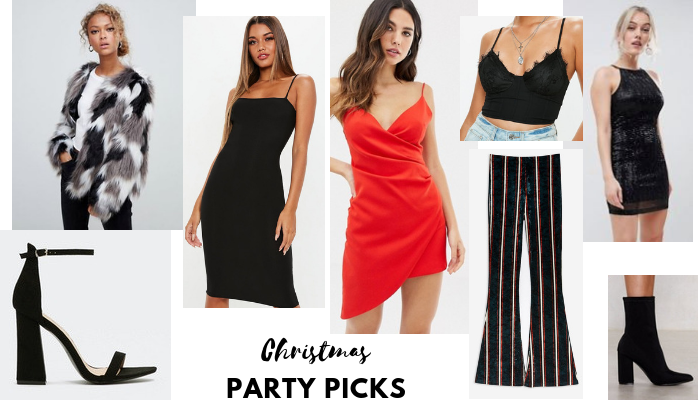 A mini Christmas outfit one-stop shop if you will. My sister is turning 18 this month and so a big night out is on the cards, and your girl needs to choose an outfit for the occassion. I also offered to buy my sister her birthday outfit as one of her presents, so it's fair to say I've spent quite a while scrolling the new-in sections looking for hidden gems. I have fallen in love with that red dress, it's gorgeous. It is, however, very similar to a dress I bought for my birthday in March and so I've decided that I definitely don't need it, even though it's gorgeous. At this time of year, trousers are THE best thing to wear on a night out. Hellooooo warm legs, whatta life hack. I spotted these striped flares on Topshop and I think they're really cool. Those with a nice top and jacket would look incred for a Christmas do. That fluffy coat is so extra - I love it! These are some gorgeous picks Becca! I love your choices. you are very great and everything looks good.